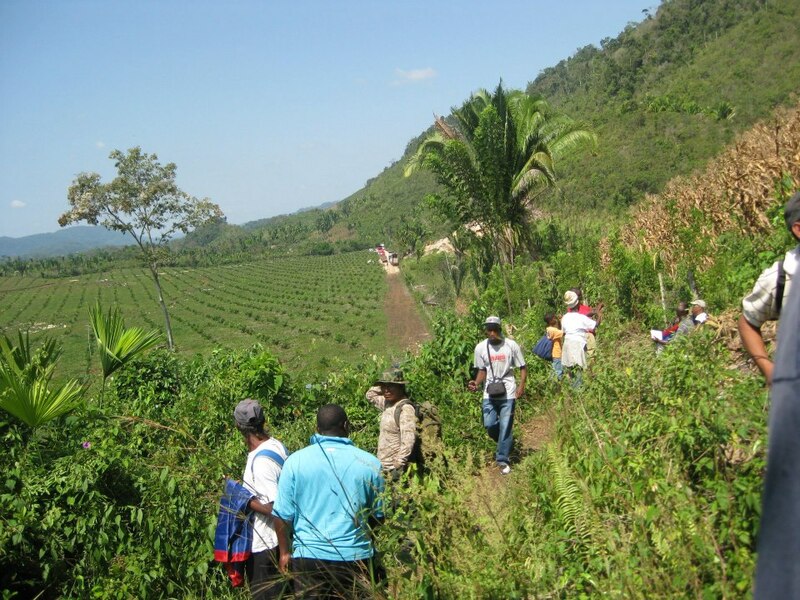 On Saturday April 6th, a group of Belizeans, led by members of Belize Territorial Volunteers (BTV), visited two areas along the Belize-Guatemala borderline. To the surprise of the Belizean public, the BTV found that development, both infrastructural and agricultural, are taking place along the borderline. It comes as a surprise because in accordance to a December 2008 compromise, signed between both countries and observed by the Organization of American States (OAS), no development should be allowed within one mile of the borderline, now referred to in the compromise as the Adjacency Zone. 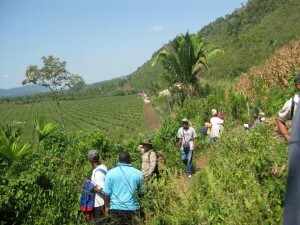 The group of about 70 Belizeans travelled west from Punta Gorda Town and hiked the thick and dense jungle along two areas from the villages of Otoxha and Dolores in the Toledo District. After a few hours of hiking, the group was met by representatives of the OAS who went to the general area to observe the BTV members on their mission to clear the borderline. But there was no real clearing to be done, since upon arrival on the borderline, it was observed that the area was cleared, giving way for road infrastructure and agricultural activities. 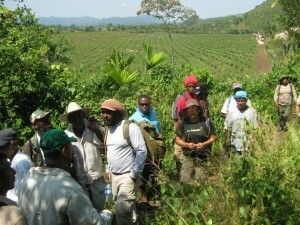 While the development being done by the Guatemalans is directly along the borderline and definitely within the established Adjacency Zone, it is suspected that part of the agricultural activities falls within Belizean territory. The activities themselves are contrary to the diplomatic agreement between Belize and Guatemala signed in December of 2008 in Washington DC at the OAS Headquarters as part of the Special Compromise. Both countries had agreed not to allow development within one mile on the two sides of the Adjacency Zone. To monitor the borderline activities, the OAS established an office between the Guatemala-Belize border facilities in Santa Elena. The discovery has now caused major outrage within civil groups in Belize. Speaking to the media, Toledo-based activist Wil Maheia said that Belizeans must be allowed to do the same as the Guatemalan’s do; to develop the land along the borderline. “The Belize government shows signs of weakness because, look at the amount of building and you can see it is recent building. According to the so called compromise, there shouldn’t be any development in the adjacency zone, the so called adjacency zone. And that is why I believe that we must not accept an adjacen cy zone. We should demarcate our border, we should man our border, we should occupy our border and then if we will have to work with the people of Dolores and Otoxha and all those along the border to lands and farms along the border like they do; then that is what we need to do,” said Maheia. African Palm plantations as well as large corn fields were observed along the area. BTV are of the strong belief that part of the farmland occupied by the Guatemalans falls well within Belize as shown by established borderline coordinates in the April 1859 treaty between England and Guatemala. There has been no official comment from the Government of Belize regarding the recent findings. The San Pedro Sun has contacted the OAS office for comments, but up to press time, has received no reply.